Earlier this year, GIGABYTE presented the AORUS RGB DDR4 memory featuring RGB lighting and the first ever to bundle two dummy modules in a kit to complete a four-stick kit to popular all the four DIMM slots in a typical mainstream motherboard. Today, GIGABYTE presents its own brand of DDR4 memory in Classic Black aesthetics and without RGB lighting. The GIGABYTE Classic Black features a low-profile black heat spreader in kits of two. It comes in DDR4-2666MHz frequency. 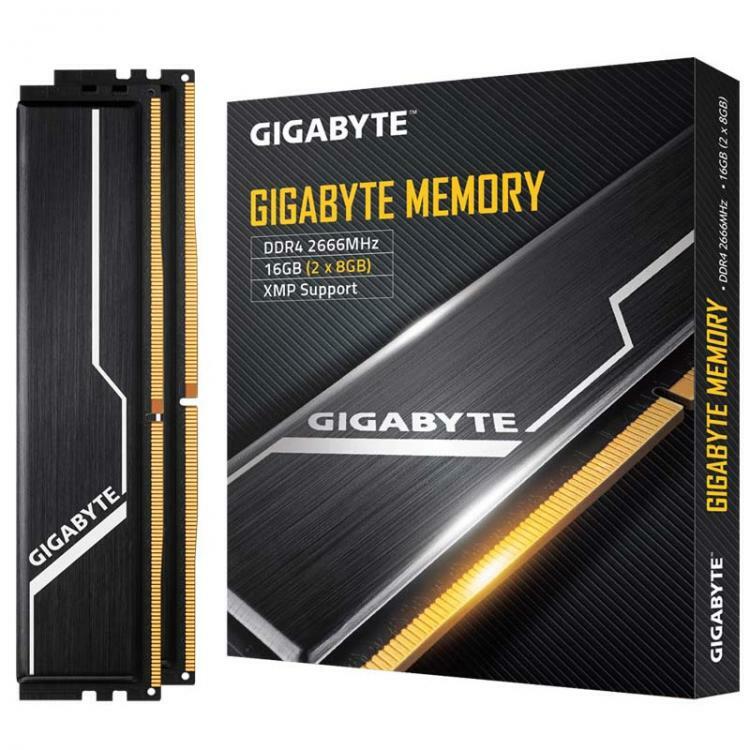 GIGABYTE also covers the Classic Black DDR4 memory with a lifetime warranty. The GIGABYTE Classic Black DDR4 memory feature selected premium ICs to deliver the best performance, reliability, and compatibility. On top of that, the GIGABYTE Classic Black DDR4 uses a 10-layer PCB to further improve stability during high performance. It also supports Intel XMP 2.0 for quick overclocking and performance boost. Learn more about the GIGABYTE Classic Black DDR4 memory here.